← A New Direction, Part 5. 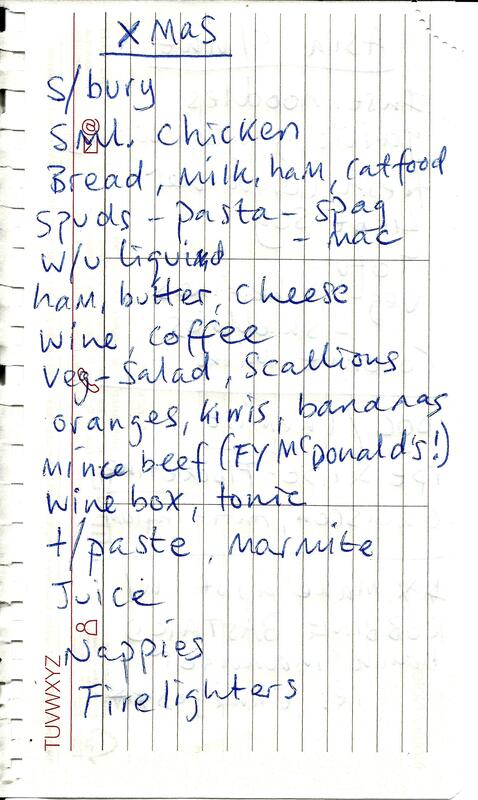 This entry was posted in Uncategorized and tagged Agincourt Avenue, anti-depressants, anti-inflammatories, Asia Supermarket, Bank charges, Belfast, confusion, depression, fluoxetine, Jason O'Rourke, Literature, Lower Ormeau Road, McDonald's, Ormeau Road, Sainsbury's, Service with a Frown, short story, Single parent, The Cat's Whiskas, writing. Bookmark the permalink. Class little ‘aside’ from the paper publisher! The choice of writing support was important to this story, so I’m glad you appreciated it, Susan. I love the way the paper has ‘nótaí / notes’ on it, as well as the publisher’s disclaimer. The text, as a Vernacularism, is inter-textual and self-reflexive, referring back to the blog as a whole, and a number of different stories. Thanks! A lot of effort went into this one. although it might not seem like it. Thanks Mari. I’m glad you like it.I spent ages getting this one right, including the choice of paper. The clues are there for a story. 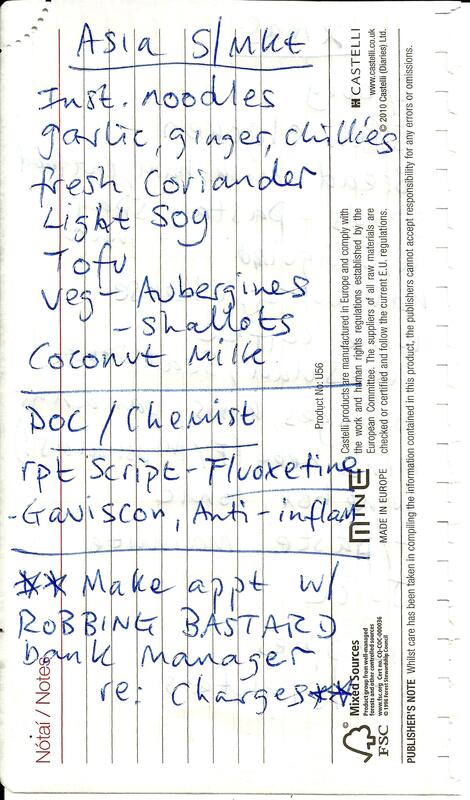 It’s not my Xmas shopping list!